Go ahead and say "Bite Me!" all you want, this photopolymer stamp set gives you permission! 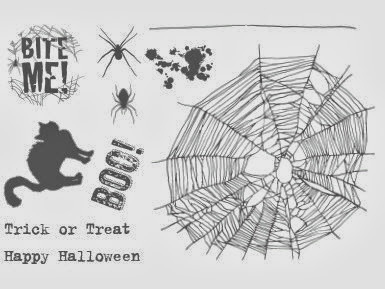 With creepy splotches, spiders and webs, this set will help you go all out on Halloween projects or party favors. 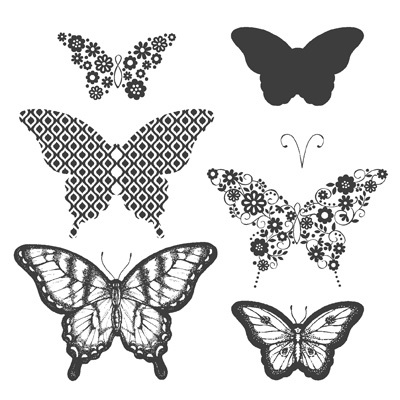 Our photopolymer stamps offer a versatile all clear stamping option. You'll find that our photopolymer is top quality and gives you a perfectly stamped image every time. The stamps stick amazingly well to our clear blocks and are easy to place just where you want them. Best of all, you get to enjoy lots of images for a great price! To see the Bite Me flyer, click here. 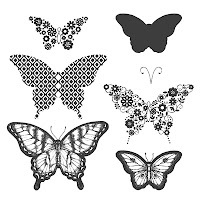 To see all the photopolymer stamp sets or to order, click here. Why go to the store when a birthday, graduation, wedding, or even a time for expressing gratitude comes up? 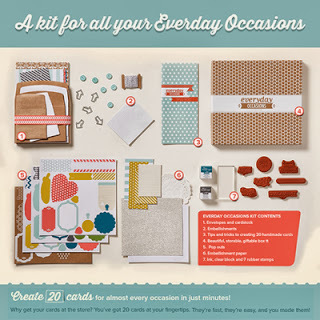 The Everyday Occasions Card making Kit puts cards for all of those events right at your fingertips. And best of all, they’ll be handmade! The kit contains everything you need (minus adhesive and scissors) to create 20 beautiful cards for almost any occasion, and it comes with a beautiful box to store your cards in. To see the Everyday Occasions flyer, click here. September's special promotion is the Butterfly Bundle, but only for a few more days! Now through September 30, you'll save 15% when you purchase the bundled Pappillion Potpourri Stamp Set and Bitty Butterfly Punch.